⚾ Are the Cleveland Indians this year’s World Series Champions? The Cleveland Indians have the best win record in the American League (as of this writing) and have reeled off an unbelievable 19 straight wins. The Tribe has 18 games left this season, and projections have the baseball team winning 100 games, second most behind the Los Angeles Dodgers’ projected 103 wins. 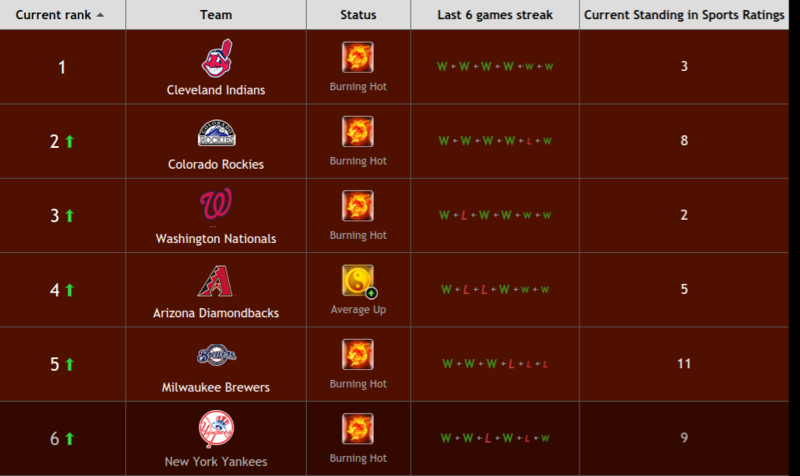 ZCode System’s power rankings has Cleveland as the best team in baseball. The Dodgers have fallen to ninth as the team looks unlikely of stopping its slide. Not only are the Indians on their way to 100 wins, but baseball number crunchers and statisticians have calculated Cleveland to be 25% likely to win the World Series. That figure is the best in Major League Baseball. Unbelievably, sportbooks are undervaluing the Indians, which is why bettors should wager on the Tribe this postseason. Oddsmakers have Cleveland as third favorites to win the World Series behind Los Angeles and Houston, which seems criminal. Cleveland’s +650 is a great wager. Meanwhile the Dodgers, who have lost 11 straight games are +220. Houston has also hit a dip and has lost four consecutive games as of this writing. The Astros are +500. Not only are the Indians the best team in baseball over the last two months, but the team was last year’s beaten World Series finalists. Cleveland has the talent to get there again, the players know what it is like to be in the series and the team has a chip on its collective shoulder. So, why are the Indians being undervalued? Despite the club’s insane run over the last 19 games, the Indians don’t have the batting stats as their rivals. Sixth in runs scored, seventh in hits, 15th in home runs and seventh in team batting average has prevented them from standing out against Houston, Washington or the Dodgers. The pitching has been Cleveland’s strong suit all season. The team has the lowest ERA in MLB at 3.41. The pitching staff’s ability to give up the fewest runs makes Cleveland such a difficult team to beat. Cleveland’s staff has also tallied the most strikeouts this season, and the old cliche of good pitching beats good hitting, is being proven true once more by the Tribe. The Indians are currently in the midst of a series with the Detroit Tigers, a team Cleveland has beaten 11 times this season. The Tigers have nothing to play for and have long been eliminated from the playoffs. They even traded their best pitcher Justin Verlander away to Houston. Right now, the Astros pose the biggest threat to the Indians, and the team’s addition of Verlander prepares them for pitching battles with Cleveland. 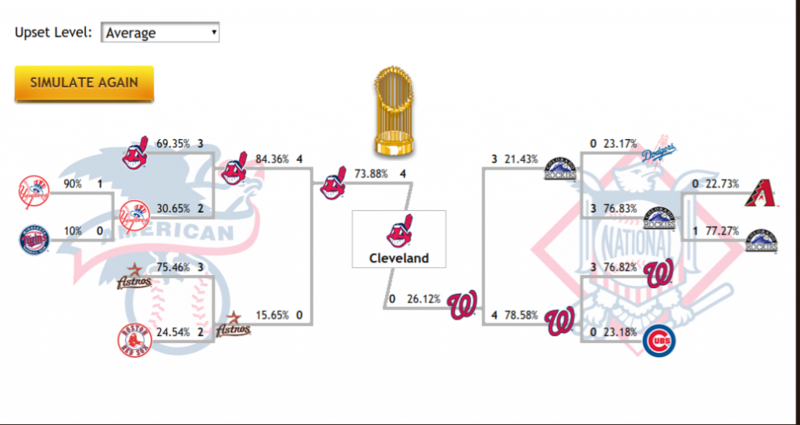 The MLB playoffs aren’t the easiest postseason to predict. The NFL, NHL and NBA are all slightly easier, and a hot team in baseball can completely change the landscape over a seven game series. That said, Cleveland is being seriously undervalued to be World Series champions in 2017. Click Here To Get Today's Fully Hands-Free Baseball Picks!